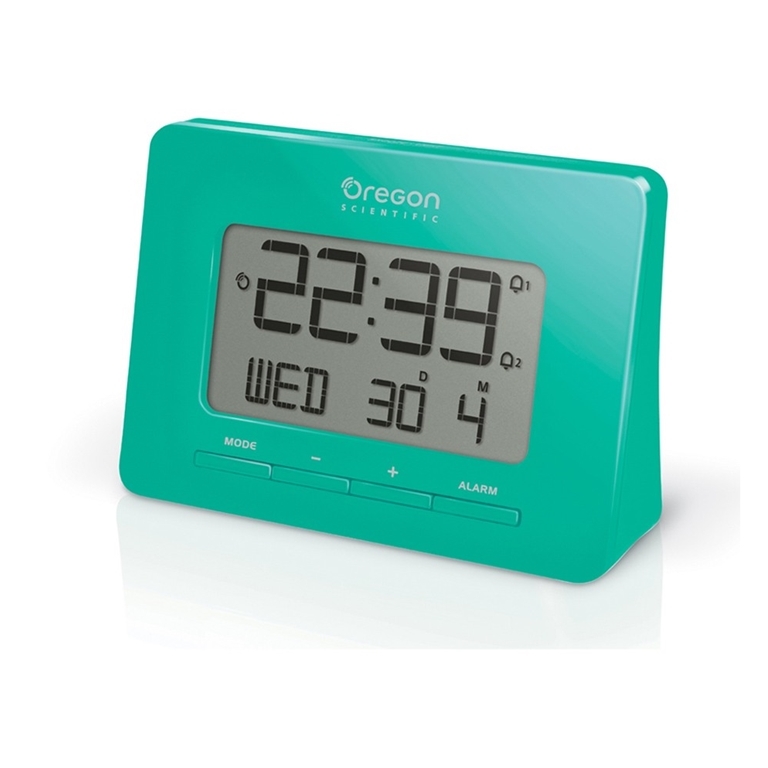 Oregon Scientific RM938-GR Atomic Digital Alarm Clock - Green is precise to the second and adjusts automatically to and for Daylight Savings Time, meaning you will never have to set the time again. The clock can also be adjusted to automatically pick up either the European and US radio controlled signal making it perfect for the international traveler. A dual alarm function allows you to set two alarms time on a single clock, one for you and one for your partner, and with a 8-minute snooze function and snooze touch technology you decide whether it’s time to get up or perhaps have a little snooze.